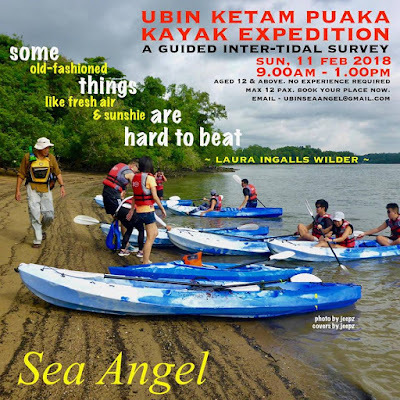 Join the passionate volunteer guides from Sea Angel for a survey of the inter-tidal beaches on Pulau Ubin and Pulau Ketam. Be surprised by the teeming rich life that can be observed at our beautiful beaches at low tide lines. Our marine life are full of zest and inspiration, striving to survive on the polluted shores of our lovely islands and never giving up the fight. Aged 12 and above, no kayaking experience required.